I'm a sucker for things on the grill. I also love my vegetables. 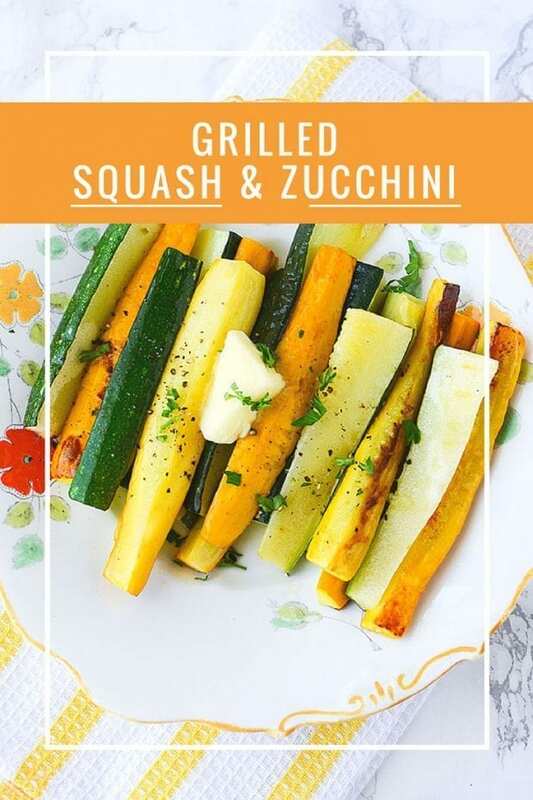 This grilled squash and zucchini recipe is a simple and quick fix that tastes as good as it looks. Great for grilling season and so tasty. I generally use my Multi-Chopper , but my husband destroyed the dicing blade, so I have to cut everything by hand. How old school. Slice the ends off of the Zucchini and Squash. Then cut down the middle so that it can lay flat while you slice them into thin strips. Create a tray out of aluminum foil by folding the corners up and together. This also creates a good place to grip the fragile tray. 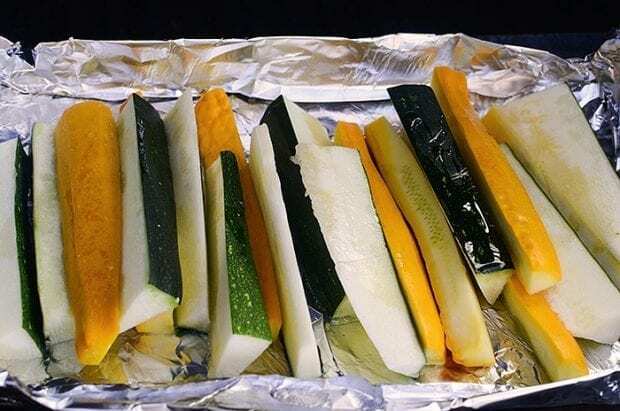 After slicing all of you squash and zucchini place them in the tray. 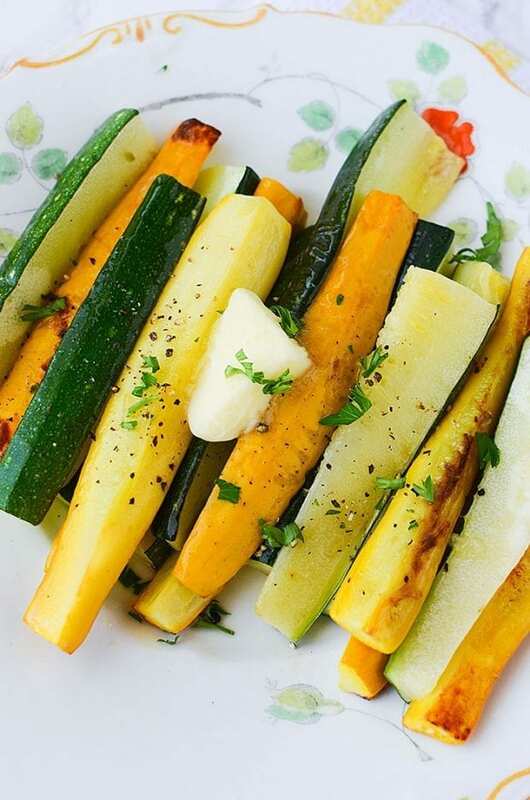 Drizzle some Extra Virgin Olive Oil over the vegetables; you don't want to soak them. The grill's heat will cause the oil to thin and coat the rest. Use your grinder to grind fresh pepper over the vegetables. Place the tray on your grill. It generally takes about 15 minutes to cook, but it all depends on the heat. As long as the vegetables are no longer white and more transparent looking. Stir them so that everything is evenly coated with oil and has a chance to touch the tray. You are left with a delicious and simple side dish that compliments any meal. I just love how easy it is to make. 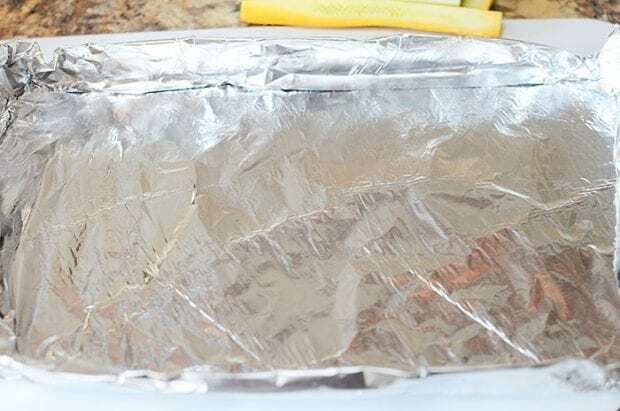 Create a tray of aluminum foil that has sides. 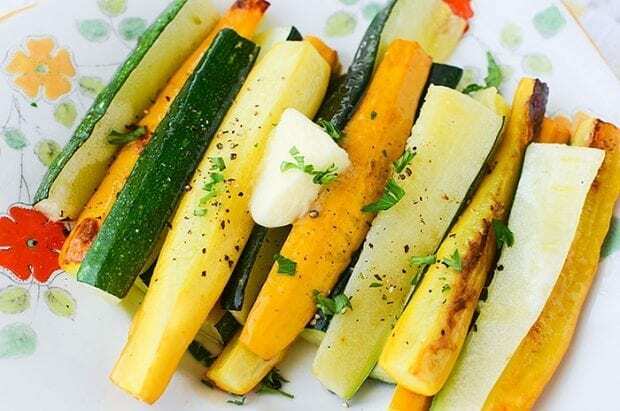 Cut zucchini and squash into strips. Toss in olive oil the coat. Spread onto the foil tray. 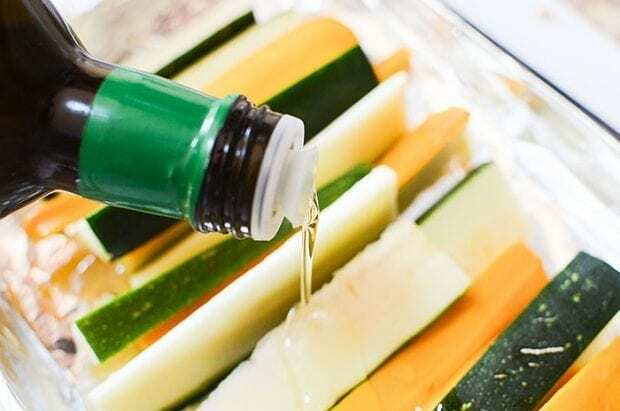 Sprinkle fresh cracked pepper over zucchini and squash.